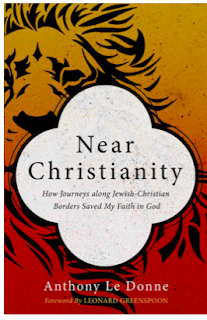 The following is an excerpt from my recently published, Near Christianity: How Journeys along Christian Borders Saved My Faith in God. I wrote this book before the resurgence of neo-Nazism in American public discourse. Just a year ago, I had no idea how important Jewish-Christian friendship would become for our political discourse. 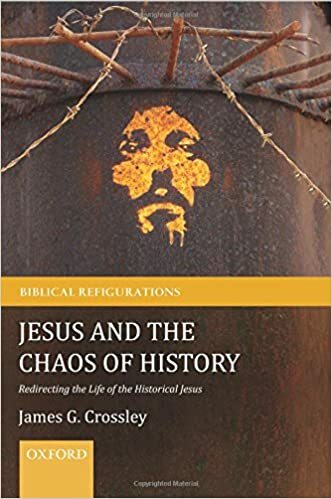 I am more convinced than ever that inter-religious dialogue (especially with those who collectively remember what the early stages of Christian-baptized Nazism looks like) has a great deal to teach us as we fumble through a new political phase. In this section, which occupies the troubled heart of the project, I interface with Richard Rubenstein. While I never met him in person, his writings have had a profound impact on me. I write these personal paragraphs in this chapter to explain how philo-Semitism has become integral to my faith. In keeping with my discussion of peril, I know that allowing anything to become entangled with my faith is dangerous. As odd as it might sound, my commitment to philo-Semitism has made me aware of a tendency that comes dangerously close to a personal crisis for me. 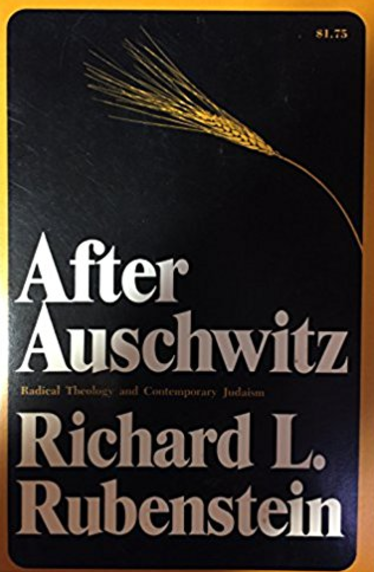 Richard Rubenstein’s book After Auschwitz is still as devastating today as it was when it was first published in 1966. When I first read it, After Auschwitz stopped me in my tracks for about a month. I could think of almost nothing else. Rubenstein explains how very dangerous Christian theology can be. I ultimately part ways with Rubenstein’s abandonment. He feels he must leave behind myth and the belief in a personal God. And I will ultimately want to nuance his portrait of Christianity. I must acknowledge, however, my debt to his book. It has given me vocabulary and definition that I did not have before. Rubenstein, in light of the Holocaust, believes that Jews must reinvent Judaism without the myth of Israel’s special status. [He writes] "After the experiences of our times, we can neither affirm the myth of the omnipotent God of History nor can we maintain its corollary, the election of Israel. After the death camps, the doctrine of Israel’s election is in any event a thoroughly distasteful pill to swallow. Jews do not need these doctrines to remain a religious community." Where Rubenstein’s commentary becomes most challenging for me as a Christian is in his indictment of philo-Semitism. After expressing his abandonment for Israel’s special relationship with God, Rubenstein observes that Israel’s doctrine of election seems to be indispensable for Christians. He pinpoints an almost certain truth about Christian identity in this observation. “Unless Israel is the vessel of God’s revelation to mankind [sic], it makes no sense to proclaim the Christ as the fulfillment and climax of that revelation.” Christianity, in his view, requires Israel’s mythology more than Judaism does. “I see no way in which the believing Christian can demythologize Israel’s special relation to God without radically altering the meaning of Christian existence.” He then laments that as long as Christians require Israel’s doctrine of election, the Judeo-Chrisitan encounter will continue to be tragic. Because the consequence is that the Christians will continue to encounter Jews and Judaism as myth and abstraction. If so, we Christians will not be able to encounter the humanity of our closest neighbors. His statement is so close to the mark that it is worth feeling its impact even without nuance. How much of Christian philo-Judaism is informed by a “mythological Jew” narrative? And if we cannot encounter the humanity of our closest neighbors, don’t we risk losing a crucial element of our own humanity? In the remainder of this chapter, I part ways to a degree with Rubenstein. But I post this as a singular unit to underscore the complexity of the problem. It could be that I move too quickly to a solution in the book. We Christians have a long history of dehumanizing our religious neighbors because we think our theology demands it. I remain convinced that Christians are (in large part) good people who mean well. At the same time, good people who lack self-awareness in times of crisis can become complicit in great moral failures. I remain committed to a faith informed by Jewish-Christian friendship. But (as with all things related to my faith) I do so with a great deal of fear and trembling. I get the sense that I am tinkering with delicate things that are of enormous importance all too inadequately. To all of our readers celebrating Rosh Hashanah, have a good and sweet new year! 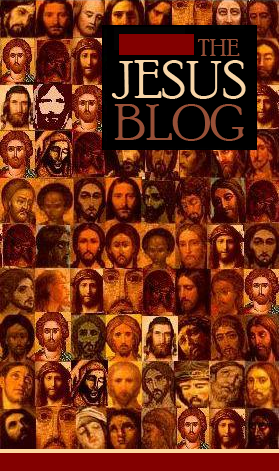 From all of us at the Jesus Blog. Today I got my hardcopy of the Journal for the Study of the Historical Jesus. I have a vested interest, but I always like publications with pretty pictures. Boy does this one have pictures! Black and white, color, from reliefs, mosaics, and from illuminations! Kudos to Andrea Nicolotti for this fine essay on the scourge of Jesus. And, as always, thank you to Brill for the quality of the final product. "The Scourge of Jesus and the Roman Scourge: Historical and Archeological Evidence"
"The Historian’s Craft and the Future of Historical Jesus: Engaging Brant Pitre's Jesus and the Last Supper as a Work of History"
"Ehrman, Bauckham and Bird on Memory and the Jesus Tradition"
"John the Baptist and the Origin of the Lord’s Prayer"
"Are the Parables Still the Bedrock of the Jesus Tradition?" "Capernaum: A ‘Hub’ for the Historical Jesus or the Markan Evangelist?" NB: that Jordan Ryan's article is an essay-length review of Jesus and the Last Supper by our very own Jesus blogger: Brant Pitre. It is well known among those who know well that the so-called apocryphal gospels tend to polarize. 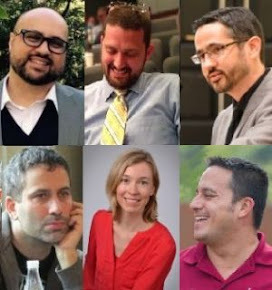 Within a classification system of “orthodoxy and heresy”, they were traditionally marginalized in scholarship. 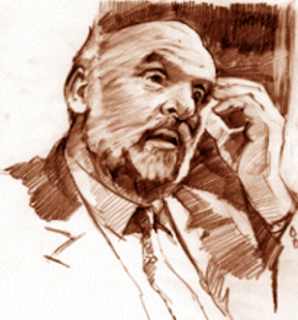 New Testament scholars and church historians tended to repeat ancient polemics of the church fathers and heresiologists even unconsciously, claiming that these writings developed far away from the Jesus movement, that they include “alien Gnostic, philosophical elements” and do not represent true Christianity. Recently, however, the pendulum has swung in the other direction. Now voices are raised that argue for the particular (historical) value of writings like the Gospel according to Thomas, Philip, or Mary: They are thought to store knowledge of the early Jesus movement that had been suppressed by the majority Church, as for example the initial significance of women in early Christianity and the role of Jesus as a timeless teacher of wisdom sayings. Scholarship, it seems, has no relaxed attitude towards apocryphal Gospels. In my upcoming blog entries, I will outline some portrayals of Jesus drawn from this tradition. I start with the Gospel of Philip (GPhil), whose existence is well known to a broad public since Dan Brown’s famous book “The Da Vinci Code” from 2003. Dan Brown formed his provocative thesis that Jesus was married to Mary Magdalene on the basis of the GPhil, which is dated between the 2nd and 4th century and survived only in a Coptic translation of an original Greek text in Nag Hammadi Codex II. The manuscript has some lacunae. One of the most famous damaged parts of early Christian manuscripts is, in fact, found in this text. On page 63.34, it reads: “[The Soter] loved Mary Magdalene more than [all] the disciples and [used to] kiss her [often] on her… “ Instead of the term “lips” or “mouth”, there is a lacuna in the text, stimulating the fantasy of modern interpreters. The original term could also have been “forehead”. Thus, the passage where Jesus is said to often have kissed Mary on her lips, is actually based on a modern conjecture. Moreover, the Gospel of Philip argues for a spiritual, not a sexual procreation. “Kissing” could have been understood as a way to transmit spiritual power and to privilege individual disciples with special knowledge. What I have mentioned so far has been much discussed and might be considered old hat. Less well known might be the fact that, according to the GPhil, Jesus had an earthly and a heavenly father. On page 55.23–36, it is said: the Lord [would] not [have] said, ‘My [Father who is in] heaven’, unless he had another father, but he would simply have said, ‘My Father.’ Here the author of the GPhil probably quotes the Gospel of Matthew and interprets it in a particular way. Jesus was conceived in the normal way and his earthly body was composed of mortal flesh and blood. Only later, he received an immortal, “spiritual body” at his baptism in the river Jordan: Jesus revealed [at the Jo]rdan the [fullness of the kingdom] of heaven. ... The Father of all things joined with the Virgin who came down, and a fire illuminated him. On that day he revealed the great bridal chamber. It was because of this that his body came into being. (GPhil 70.34–71.8). The unusual interpretation of Jesus’ baptism in 70.34–71.8 can be understood to suggest that Jesus experienced at his baptism a fundamental and far-reaching transformation. Thus the GPhil has transferred the motifs of the union of the Virgin and the “Father of the all things” and of bodily origins from the synoptic birth stories with their miraculous elements to the baptism account. The baptism of Jesus is depicted as his second and authentic birth, where Jesus receives a new body. Against the background of the Gospels that later became canonical, these Christological features appear rather strange to modern readers. They reveal a completely different view on both the bodily, earthly life and a new, spiritual existence. Therefore, the GPhil should not be interpreted as a text that contains old, forgotten or even suppressed secrets of Jesus’ earthly life. This text is based on a conceptual world that varies widely from that of the Canonical Gospels. Assessing the text from the perspective of the four Gospels would do it no justice.